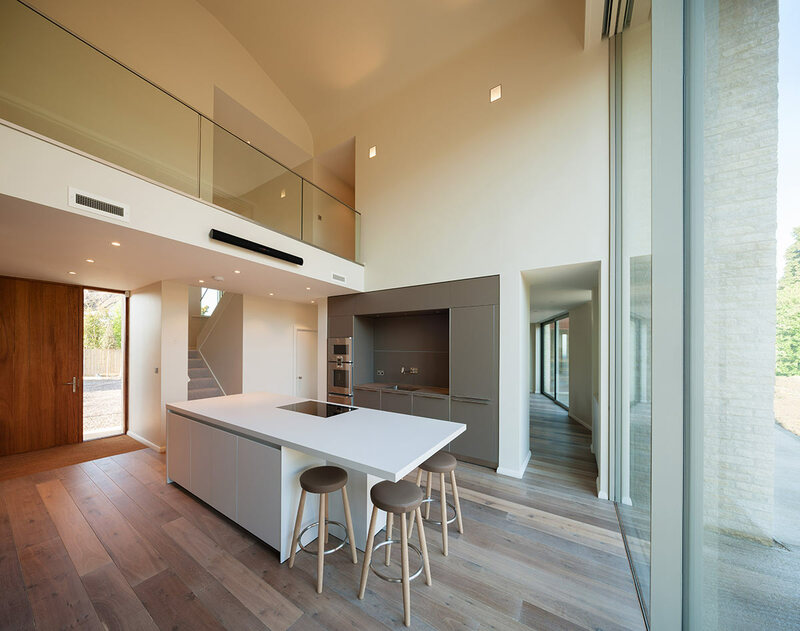 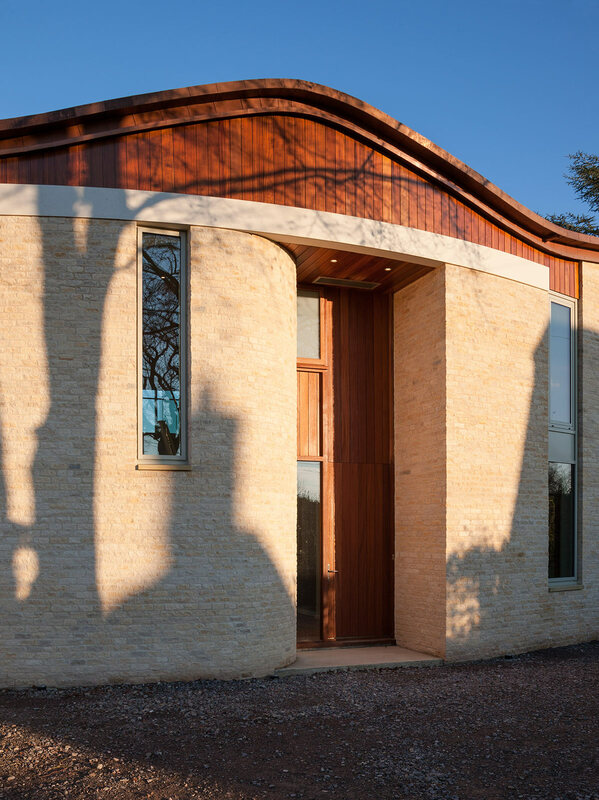 This house for a master builder is a beautifully crafted object. 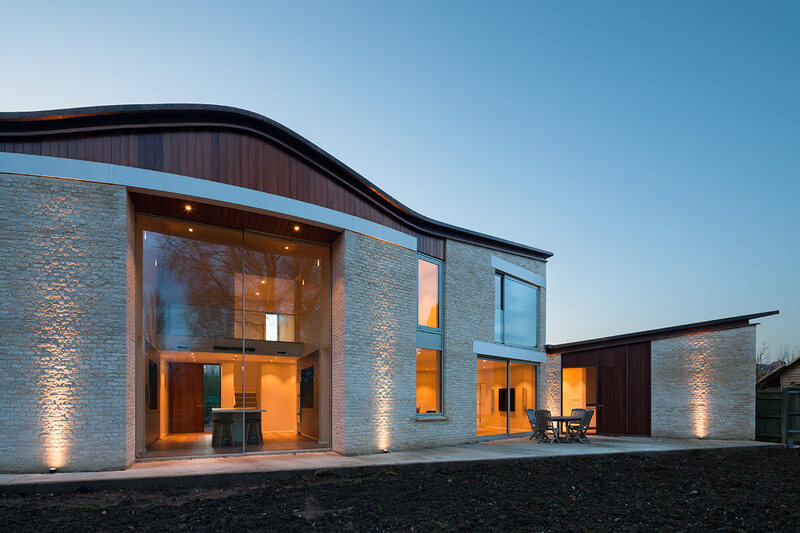 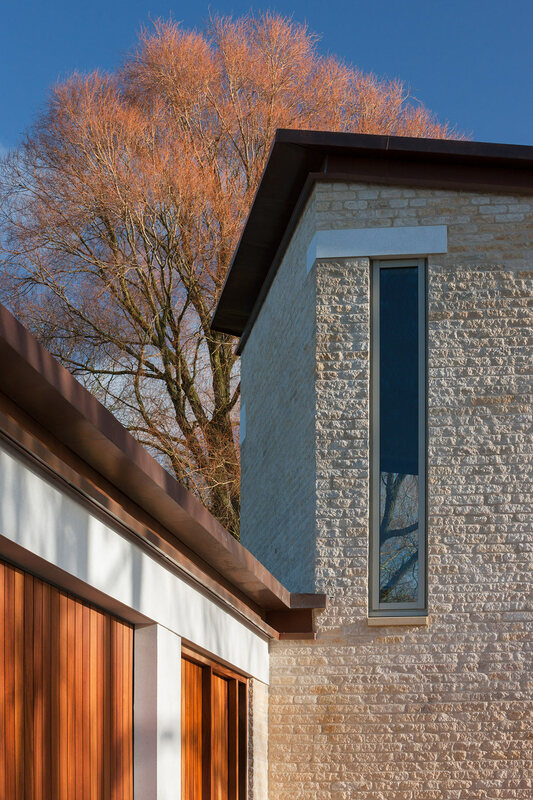 A sleek sculptural casket in Ancaster stone, with a rippling copper roof, and at the heart of the house a stupendous double-height sliding glass wall glorying in the view of the woodland setting. 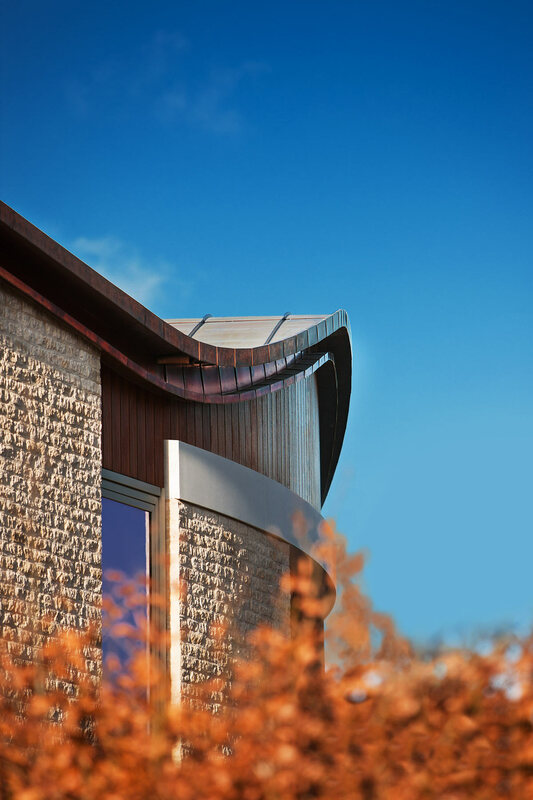 The craftsmen rose to the challenge of the minimally detailed curvaceous form and have honed it with real finesse.